eTable 6. 5ARI medication utilisation details among the exposed cohort. eFigure 2. Graph of Schoenfeld residuals for suicide, self-harm, and depression. eFigure 3. Kaplan meier graphs of self-harm and depression. Propecia (finasteride). http://www.accessdata.fda.gov/drugsatfda_docs/nda/2011/020788Orig1s017.pdf. 2014;1–56. Accessed September 1, 2016. Health Product InfoWatch—December 2015. http://www.hc-sc.gc.ca/dhp-mps/medeff/bulletin/hpiw-ivps_2015-12-eng.php. Accessed Jan 15, 2016. Williams J, Young W. Appendix I: a summary of studies on the quality of health care administrative databases in Canada. In: Goel V, Williams JI, Anderson GM, et al, eds. Patterns of Health Care in Ontario: the ICES Practice Atlas. 2nd ed. Ottawa, ON: Canadian Medical Association; 2000:339-347. Ontario Mental Health Reporting System, Data Quality Documentation, 2011–2012. https://www.cihi.ca/en/omhrs_dq_2011-2012_en.pdf. Accessed August 15, 2016. Navaneelan T. Suicide rates: an overview.. http://www.statcan.gc.ca/pub/82-624-x/2012001/article/11696-eng.htm. Accessed Aug 30 2016. The Post-Finasteride Syndrome Foundation - PFSF. The Post-Finasteride Syndrome Foundation. http://www.pfsfoundation.org. Accessed September 1, 2016. Question Is the use of 5α-reductase inhibitors for the treatment of benign prostatic hyperplasia associated with a risk of suicide, self-harm behavior, or depression? Findings Using a matched cohort design and population-based data, 5α-reductase inhibitors were not found to be associated with an increase in suicide. However, the risk of self-harm and depression were significantly increased, primarily during the first 18 months after initiation of the medication. Meaning The risk of self-harm and depression should be considered when prescribing 5α-reductase inhibitors. In patients presenting with thoughts or evidence of self-harm, or with a new diagnosis of depression, the continued use of this medication should be reevaluated. Importance There have been concerns raised by patients and regulatory agencies regarding serious psychiatric adverse effects associated with 5α-reductase inhibitors. Objective To determine if there is an increased risk of suicide, self-harm, or depression among older men starting a 5α-reductase inhibitor for prostatic enlargement. Design, Setting, and Participants A population-based, retrospective, matched cohort study using linked administrative data for 93 197 men ages 66 years or older (median [IQR] age, 75 [70-80] years) in Ontario, Canada, who initiated a new prescription for a 5α-reductase inhibitor during the study period (2003 through 2013). Participants were matched (using a propensity score that included 44 of our 96 covariates that included medical comorbidities, medication usage, and health care system utilization) to an equal number of men not prescribed a 5α-reductase inhibitor. Exposures Duration of finasteride or dutasteride usage. Main Outcomes and Measures Suicide. Secondary outcomes were self-harm and depression. Results Men who used 5α-reductase inhibitors were not at a significantly increased risk of suicide (HR, 0.88; 95% CI, 0.53-1.45). Risk of self-harm was significantly increased during the initial 18 months after 5α-reductase inhibitor initiation (HR, 1.88; 95% CI, 1.34-2.64), but not thereafter. Incident depression risk was elevated during the initial 18 months after 5α-reductase inhibitor initiation (HR, 1.94; 95% CI, 1.73-2.16), and continued to be elevated, but to a lesser degree, for the remainder of the follow-up period (HR, 1.22; 95% CI, 1.08-1.37). The absolute increases in the event rates for these 2 outcomes were 17 per 100 000 patient-years and 237 per 100 000 patient-years, respectively. The type of 5α-reductase inhibitor (finasteride or dutasteride) did not significantly modify the observed associations with suicide, self-harm, and depression. Conclusions and Relevance In a large cohort of men ages 66 years or older, we did not demonstrate an increased risk of suicide associated with 5α-reductase inhibitor use. However, the risk of self-harm and depression were increased compared with unexposed men. This is in keeping with postmarketing experience and patient concerns, and discontinuation of the medication in these circ umstances may be appropriate. Quiz Ref IDBenign prostatic hyperplasia (BPH) is a major contributor to lower urinary tract symptoms (LUTS) in older men. Symptoms are found in approximately one-quarter of men over 70 years.1 Guidelines from American, Canadian, and European urology societies recommend a 5α-reductase inhibitor (5ARI) as medical therapy for BPH related LUTS.2-4 As a medication class, 5ARIs target the 5α-reductase enzyme family, which is responsible for transforming steroid precursors into active hormones.5 This includes the conversion of testosterone to dihydrotestosterone, which accounts for the use of 5ARIs for androgenic alopecia and BPH.5Quiz Ref ID Among BPH patients, 5ARIs reduce prostate volume, LUTS, and future BPH-related complications and surgery.6,7 There are 2 equally efficacious 5ARI medications available for the treatment of BPH8: finasteride (which inhibits type 2 5α-reductase) and dutasteride (which inhibits both type 1 and type 2 5α-reductase). To date, very little research has assessed the potential risks of suicidality and depression from 5ARI medications, despite concerns from regulatory agencies and plausible underlying biologic mechanisms. Our objective was to conduct a population-based retrospective study among older men to assess for a potential relationship between 5ARI use and suicide, self-harm, and depression. We used several administrative data sources for this study: (1) Registered Persons Database (containing vital statistics),22 (2) Ontario Drug Benefit database (containing all prescription drug use for Ontarians older than 65 years),23 (3) Canadian Institute for Health Information Discharge Abstract Database (identifying all inpatient admissions and procedures, and inpatient psychiatric care prior to 2005),24 (4) National Ambulatory Care Reporting System (identifying all emergency department encounters),25 (5) Ontario Health Insurance Plan (containing all physician billing and diagnostic codes for patient assessment or treatment),26 (6) Ontario Registrar General-Death database (containing the manner and cause of death),27 and (7) Ontario Mental Health Reporting System (containing records of all inpatient psychiatric care from 2005 onwards).28 Our study variables were complete, aside from less than 0.4% missing data for socioeconomic status and rurality (these patients were retained for analysis). Using the unique drug identification numbers in the Ontario Drug Benefit Database (which has greater than 99% accuracy in prior validation studies)23 we identified a cohort of men 66 years or older who filled their first prescription for finasteride or dutasteride between January 1, 2003 and December 30, 2013 (exposed men). The prescription fill date was considered the index date for the patient, and the beginning of the observation period. All remaining men in the province of Ontario during the study period (unexposed men) were assigned a random index date based on the distribution of index dates among the exposed men. Within both groups, we conducted standard data cleaning steps, and then excluded men who had used a 5ARI in the 2 years prior to 2003, those who used multiple 5ARIs on their index date, those who were younger than 66 years, those without any prescription in the prior 3 months in the Ontario Drug Benefit Database, and those who were in hospital or visited an emergency department in the 2 days prior to the index date (to limit the potential confounding of serious concurrent medical illness). Further details are shown in eFigure 1 in Supplement 2. We matched men with a 5ARI prescription to those without any 5ARI prescriptions, based on their index date (within 1 year), a history of depression or self-harm in the 5 years prior to the index date, evidence of antidepressant medication usage in the 6 months prior to the index date, and the logit of a propensity score. We assessed 96 different covariates, representing medical and psychiatric comorbidities, medication usage, and health care utilization (coding definitions and lookback windows are detailed in eTable 2A-C in Supplement 2). Qualitative variables were analyzed as categorical variables. Among the 96 measured covariates, 44 were selected for inclusion in the propensity score based on standardized differences of 7% or greater or a high likelihood of confounding (further details in eTable 3 in Supplement 2). We prespecified suicide as our primary outcome. Our a priori hypothesis was that suicide would be significantly higher among men exposed to 5ARIs. All cases of unnatural death in Ontario are investigated by a coroner (who is a licensed physician); deaths with clear evidence of suicidal intent29 are registered as a suicide on the death certificate by the coroner and entered in the Ontario Registrar General-Death database. 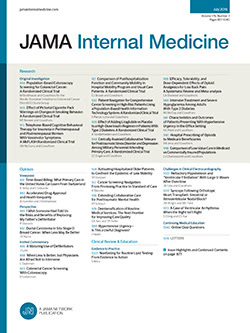 There is good inter-rater agreement among Ontario coroners for relevant mechanisms of suicide.30 Our secondary outcomes were self-harm, and incident depression (determined using a validated definition).31 Self-harm included both emergency department visits for a suicide attempt or parasuicide behavior, and psychiatric hospital admission for recent self-harm or thoughts of self-harm. To identify incident cases of depression, patients with an existing history of depression in the 5 years prior to the index date were excluded for the analysis of this outcome. Details of the data sources, diagnostic codes, and validity of these outcomes are presented in eTable 4 in Supplement 2. We observed patients for our study outcomes during an at risk period, which was defined as continuous medication usage plus 12 months. Continuous usage started on the day the prescription was filled, and continued for the prescription duration; it was extended for the duration of each follow-up prescription that was filled within 1.5 × the number of days of previous prescription supply.32 The 12-month post-5ARI period was included owing to the possible persistence of symptoms after the discontinuation of the 5ARI medication.33,34 Patients were allowed to switch among 5ARI medications during this at risk period, and on discontinuation of the 5ARI the patient was not reentered in the cohort if they restarted a 5ARI in the future. Our primary analysis was completed using SAS statistical software (version 9.4, SAS institute). Stratified Cox proportional hazards models were used to account for matching and to censor matched pairs based on the end of the at risk period, or when either member of the pair reached a specified outcome, died, emigrated from the province, or reached the end of the study period (December 31, 2013). The Cox proportional hazards model assumption of proportionality was assessed statistically using a time-dependent covariate, and graphically using Schoenfeld residuals. When proportionality was violated, the model was stratified based on fixed time periods after the index date so that proportionality was restored. Hazard ratios (HRs) and 95% CIs are reported (and the SAS program and output for the primary analysis is included in the eAppendix in Supplement 2), as well as absolute risk. Secondary outcomes were assessed using similar methodology. Three preplanned secondary analyses were conducted. First, we included probable suicide cases in the primary outcome definition (eTable 4 in Supplement 2). Second, 3 potential effect modifiers were assessed (prior depression, prior self-harm, and recent antidepressant usage). Finally, results were stratified by type of 5ARI. The statistical significance of the latter 2 secondary analyses was assessed by adding an interaction term in the model. Two posthoc analyses were performed: outcome models were repeated after matched pairs with a history of prostate cancer (a potential confounder)37 were excluded, and a competing risk model (using Fine and Gray’s method)38 for nonsuicide mortality was used for our primary and secondary outcomes. For all analyses, we considered 2-tailed P values less than .05 statistically significant. Cohort selection is presented in eFigure 1 in Supplement 2. After matching we retained 93 197 pairs. Baseline characteristics of the matched exposed and unexposed men that are particularly relevant to our study are presented in Table 1 (complete covariates are presented in eTable 5 in Supplement 2). Acknowledged risk factors for suicide in the elderly,39,40 such as mental illness, chronic medical conditions (seizure, neurologic disease, cancer), depression, substance abuse, and prior self-harm episodes were very well balanced between cohorts, and no standardized differences greater than 8% persisted in our final matched cohort for any of the covariates. The index 5ARI was dutasteride for 48 505 (52.0%), and finasteride for 44 692 (48.0%) of men. Dosage, duration of use ,and index prescriber specialty are described in eTable 6 in Supplement 2. The absolute risk of suicide was very low in both exposed and unexposed men (0.04%), and there was no significantly increased HR among men exposed to 5ARI medications (HR, 0.88; 95% CI, 0.53-1.45) (Table 2). The addition of probable suicide cases identified only a few additional outcomes, and did not change our model results significantly. Our secondary outcomes of self-harm and incident depression violated our statistical test and graphical assessment of proportionality (eFigure 2 in Supplement 2). Self-harm required 3 separate time periods and depression required 2 separate time periods to maintain proportionality (each time period has its own hazard ratio). Among men exposed to 5ARIs, there was a significantly increased hazard of self-harm (HR, 1.88; 95% CI, 1.34-2.64) and depression (HR, 1.94; 95% CI, 1.73-2.16) during the first 18 months of use (Table 2). The hazard for self-harm was not significantly elevated after the initial 18 months, whereas the hazard for depression was lower in magnitude but still significantly elevated for the remainder of the follow-up period (HR, 1.22; 95% CI, 1.08-1.37). The Kaplan-Meier curves for self-harm and depression, stratified by 5ARI use, are included in eFigure 3 in Supplement 2. The self-harm outcome represented an actual suicide attempt or parasuicide behavior in 58% (75/130) of unexposed men and 57% (96/169) of exposed men. When considering only this subset of self-harm patients, the HR during the first 18 months was still significantly increased (HR, 1.61; 95% CI, 1.04-2.48; P = .03). Of the men with self-harm during the study period, 6.9% (9/130) unexposed and 5.9% (10/169) exposed men later died of suicide during our defined at risk period. In our secondary analysis, the potential effect modifiers did not have a significant statistical interaction with our primary outcome of suicide (prior history of depression, P = .32; active depression, P = .56) (eTable 7 in Supplement 2). The prior self-harm subgroup was too small to fit to a statistical model. Stratification of our primary and secondary outcomes by initial type of 5ARI did not reveal any significant differences in the primary or secondary outcomes (Table 3). Posthoc, the model excluding men with a prior history of prostate cancer (eTable 8 in Supplement 2), and the model accounting for the competing risk of nonsuicide mortality (eTable 9 in Supplement 2) both had similar results to our primary analysis of suicide, self-harm and depression. We conducted a population-based retrospective cohort study of approximately 186 000 men ages 66 years or older to assess for concerning psychiatric problems potentially associated with 5ARIs. Quiz Ref IDWe did not demonstrate a significant increase in the risk of suicide among older men using 5ARIs for BPH, and prior depression or antidepressant use did not modify this result. The rate of suicide among men exposed to 5ARIs, and similar men not exposed to 5ARIs was approximately 15 of 100 000 person years in both groups (in keeping with a yearly suicide rate of 19 of 100 000 Ontario males ages 60 or older).41 However, we did demonstrate a significantly increased risk of self-harm (for the initial 18 months after initiation of a 5ARI), and new diagnoses of depression (throughout follow-up) among men exposed to 5ARI medications. The initial increased risk, which attenuates for both outcomes after 18 months, is in keeping with an acute change associated with the initiation of a 5ARI. These significant differences were consistent among both the finasteride and dutasteride users. Depression in elderly persons is associated with reduced functioning and quality of life, increased health care utilization, and a chronic and relapsing course.42,43 Although the absolute risk of self-harm is low, this is still potentially important given the increasing rate of self-harm in adults,44 the high costs associated with subsequent treatment,45 and the strength of this as a risk factor for future self-harm and suicide.46,47 Several theories have been proposed to explain the transition from self-harm thoughts to self-harm behavior to completed suicide.48 Because we only measured outcomes with a temporal relationship to 5ARI use, the discontinuation of the 5ARI may have occurred prior to some men dying from suicide, or this may have prevented further self-harm. Alternatively, there may have been effective interventions after an episode of self-harm which reduced the risk of progression to suicide. We used a retrospective, matched-cohort design and measured 96 relevant covariates, of which 44 were included in a propensity score. We carefully considered the validity of our primary and secondary study outcomes (eTable 4 in Supplement 2), and censored patients to limit their risk period to ensure there was a temporal association between our exposure and outcomes. Finally, our exposure was defined using the Ontario Drug Benefit database, which has considerable accuracy.23 Limitations of our study include the possibility of misclassification of key study variables, and residual confounding. Nondifferential misclassification of our outcomes is likely to have occurred given their measurement characteristics, (and would generally bias our results toward the null).53 The true incidence of suicide was likely underestimated, given the limited sensitivity of coroner records for identifying suicide, and depression can be both overdiagnosed and underdiagnosed in the elderly population.30,40,42,54Quiz Ref ID Residual confounding is a consistent limitation of any observational study, and while the propensity score accounts for many defined variables, there are covariates (such as family history of suicide and psychosocial supports)39,46,55 that were not measured; however, they are unlikely to be differentially distributed based on 5ARI use. Furthermore, surveillance and the propensity for a patient to be diagnosed with self-harm and depression may have been different after the initiation of the 5ARI. It is possible there is a small but significant association between suicide and 5ARI usage which we were unable to detect with our sample size (our 95% CI suggests a true HR between 0.53 and 1.45 is possible). Lower urinary tract symptoms themselves may be related to depression, or may lower a patient’s quality of life and therefore lead to depressive symptoms.56 We tried to adjust for this by matching on a history of depression, and balancing recent use of an α antagonist or overactive bladder medication, and prior BPH diagnosis or transurethral prostate surgery. Finally, medication compliance was not directly measured, although, given a median duration of use of approximately 12 months, it is unlikely that men would be refilling a prescription they were not taking. The risk of suicide was not significantly elevated in men ages 66 years or older using 5ARIs for BPH, however the risks of self-harm and incident depression were significantly increased, primarily during the first 18 months after the initiation of either finasteride or dutasteride. The absolute increased risk of these 2 outcomes was low, and the potential benefits of 5ARIs in this population likely outweigh these risks for most patients. Corresponding Author: Blayne Welk, MD, MSc, Department of Surgery and Epidemiology and Biostatistics, Western University Room B4-667, St Joseph's Health Care 268 Grosvenor Street, London, ON N6A 4V2, Canada (bkwelk@gmail.com). Author Contributions: Drs Welk and McArthur had full access to all of the data in the study and take responsibility for the integrity of the data and the accuracy of the data analysis. Concept and design: Welk, McArthur, Ordon, Hayward, Dixon. Acquisition, analysis, or interpretation of data: Welk, McArthur, Ordon, Anderson, Hayward. Drafting of the manuscript: Welk. Critical revision of the manuscript for important intellectual content: McArthur, Ordon, Anderson, Hayward, Dixon. Administrative, technical, or material support: Hayward. Conflict of Interest Disclosures: Dr Welk has received research grants from Astellas. There are no other disclosures reported. Funding/Support: This project was funded by a grant from the Department of Surgery, Western University. This study was supported by the Institute for Clinical Evaluative Sciences (ICES) Western site. The ICES is funded by an annual grant from the Ontario Ministry of Health and Long-Term Care (MOHLTC). Core funding for ICES Western is provided by the Academic Medical Organization of Southwestern Ontario (AMOSO), the Schulich School of Medicine and Dentistry (SSMD), Western University, and the Lawson Health Research Institute (LHRI). The research was conducted by members of the ICES Kidney, Dialysis and Transplantation team, at the ICES Western facility, who are supported by a grant from the Canadian Institutes of Health Research (CIHR). Role of the Funder/Sponsor: The funding agencies had no role in the design and conduct of the study; collection, management, analysis, and interpretation of the data; preparation, review, or approval of the manuscript; or decision to submit the manuscript for publication. Disclaimer: Parts of this material are based on data and information compiled and provided by CIHI. However, the analyses, conclusions, opinions and statements expressed herein are those of the author, and not necessarily those of CIHI. The opinions, results and conclusions are those of the authors and are independent from the funding sources. No endorsement by ICES, AMOSO, SSMD, LHRI, CIHR, Department of Surgery (Western), or the MOHLTC is intended or should be inferred.